You can confirm the phone number, ZIP code or Birthdate for the patient. If you want to make changes to your prescription or need to talk to a pharmacist, please contact your pharmacy directly using the phone number on your prescription label. Prescription(Rx) Number: Be sure you've entered numbers only with no spaces or other characters. Check your prescription label and make sure you've entered the correct number. Birth Date: If you are unaware or unsure of the birth date, please use the ZIP code option. ZIP Code: Please use the billing ZIP code for the prescription. Be sure you've entered numbers only and only the first 5 numbers of the ZIP code. 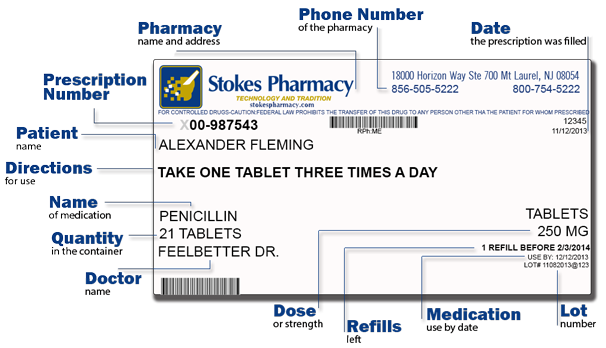 Prescription numbers are numeric only and should be entered without formatting, hyphens, etc..
ZIP codes are numeric only and should be 5 digits long. (c)2014-2018 Guided Processing Systems. All rights reserved.